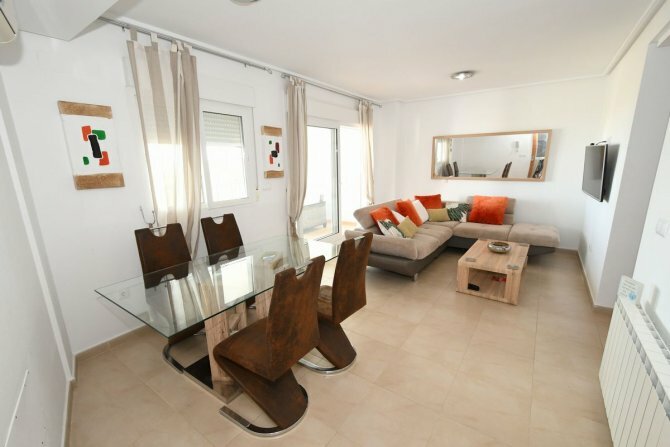 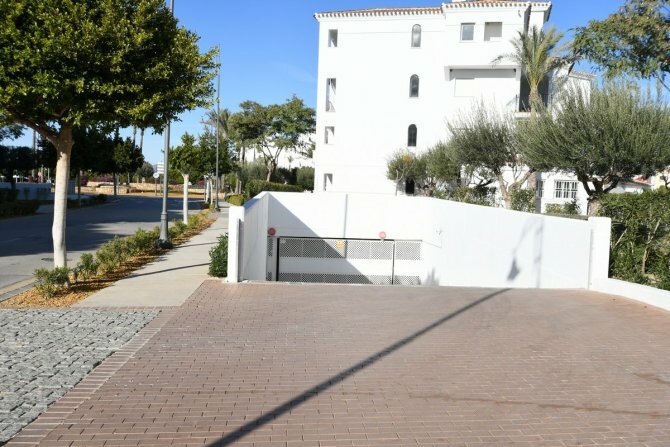 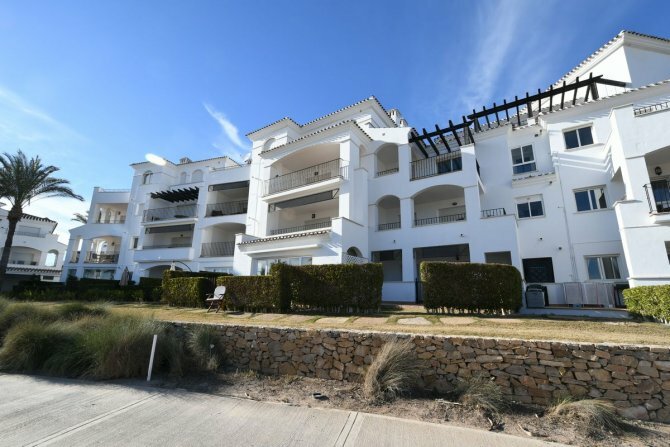 Benigest real estate presents this most amazing dream come true luxury apartment with amazing views of La Torre Golf Resort and mountains in the distance, creating the perfect picture. 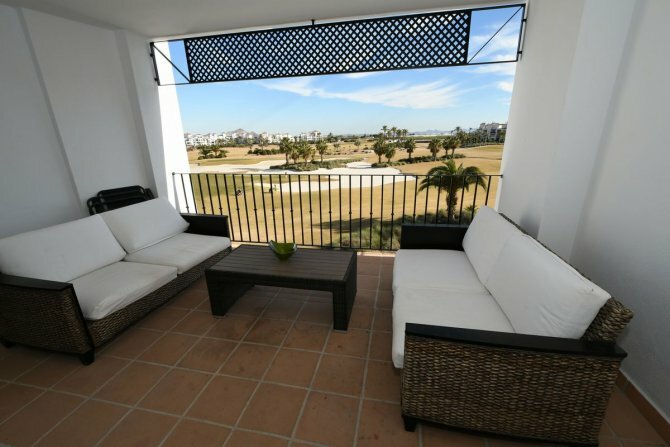 The apartment is located on the second floor of this amazing block directly over looking the 18th green and within a few steps to the well-presented communal swimming pool and the grand club house can be found in this same location which also contains a bar and restaurant. 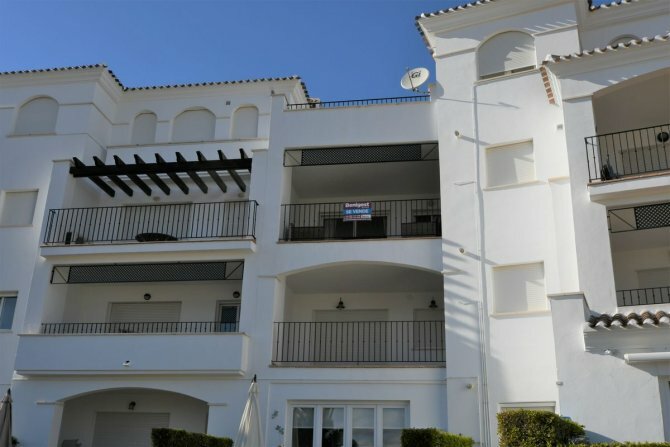 Upon entering the apartment you will find a large and bright living/dining area which is furnished to a high standard, this will lead you to the front terrace with electric shutters which overlooks the picturesque golf course and the mountains in the distance, giving you the feel of relaxation and where you can sit and watch the world go by. 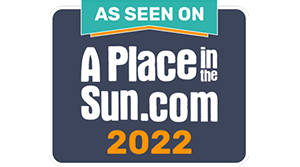 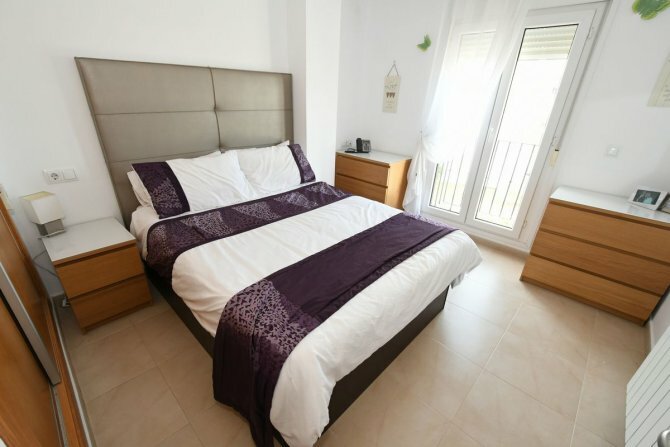 From this same level you will find further two spacious bedrooms both with fitted wardrobes, modern family bathroom with air conditioning and central heating with radiators in every room, presented to a high standard. 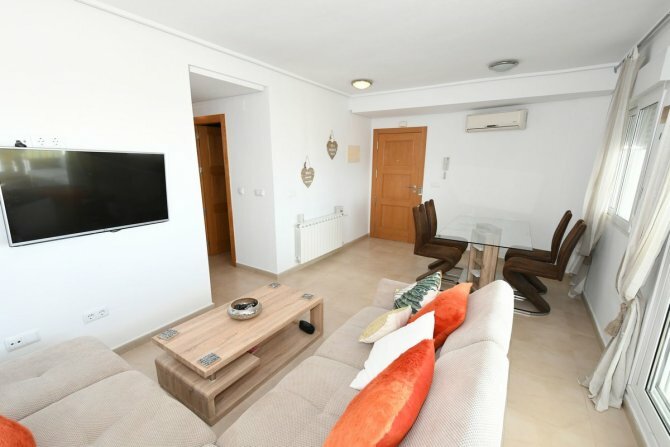 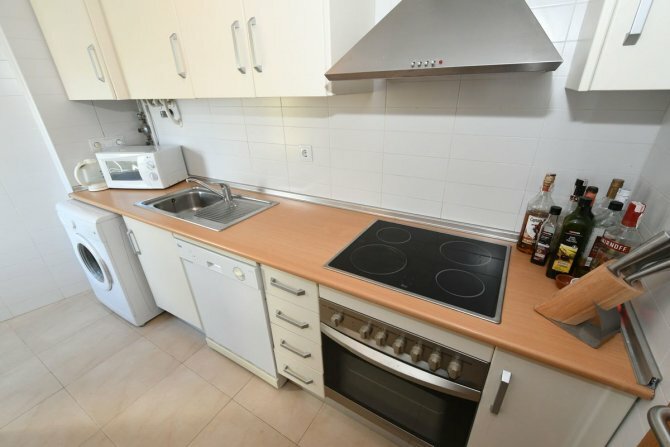 The kitchen is located just off the living area and is presented with fully fitted oven, hob, microwave, fridge-freezer, dishwasher and extractor, this is very spacious and bright. 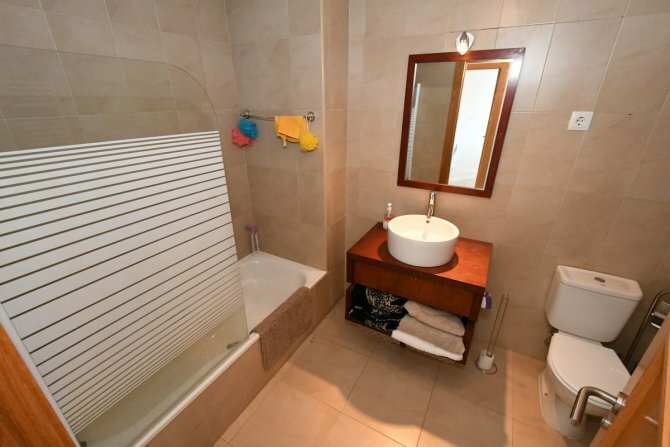 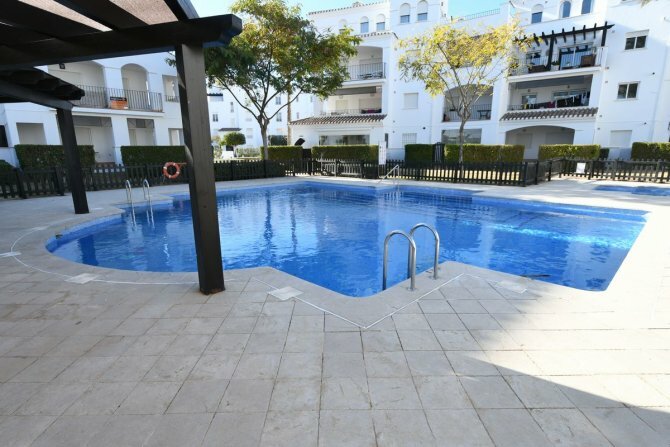 Underground private parking space with a lift to the apartment is also included in this property. 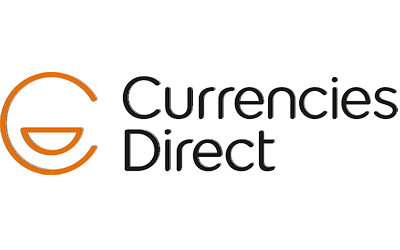 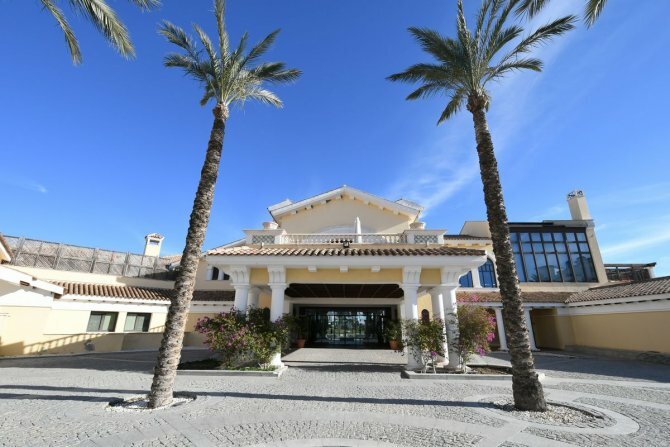 Alicante airport can be found only 1 hours drive away, 10 minutes drive to Corvera Airport and only 15 minutes drive to the coast. 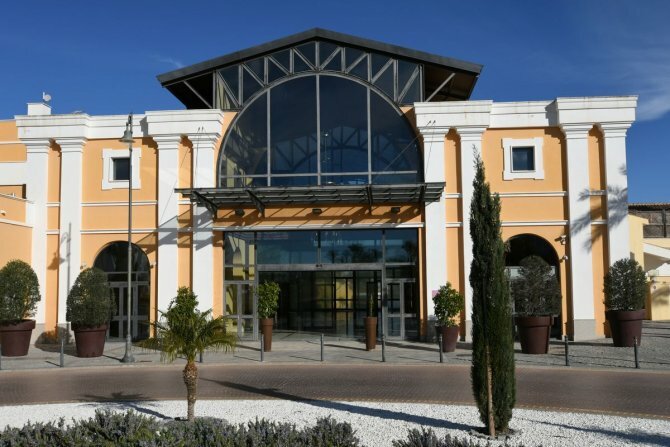 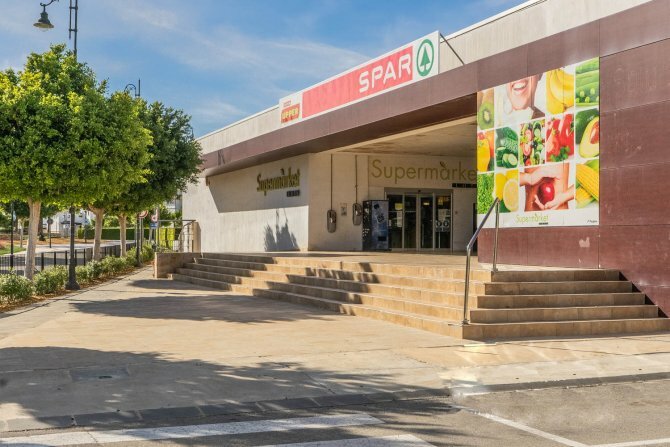 The community has 24hr security on site and they can be seen patrolling the streets, there is access to 16 different communal swimming pools, tennis courts and beautiful communal gardens, let’s not forget the onsite spar supermarket.  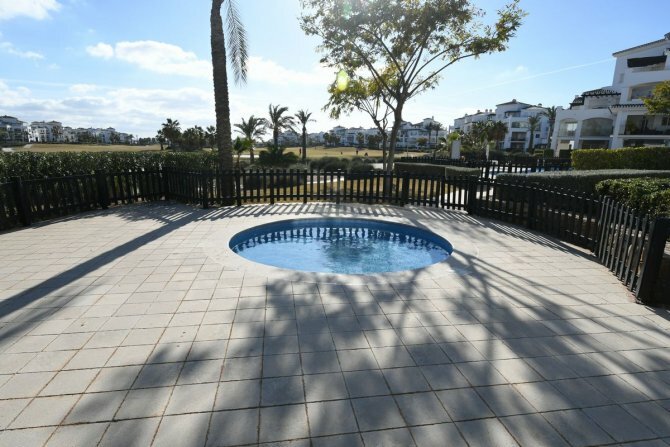 There is more information available on request, so what are you waiting for call us today on this must view property, you will be amazed! 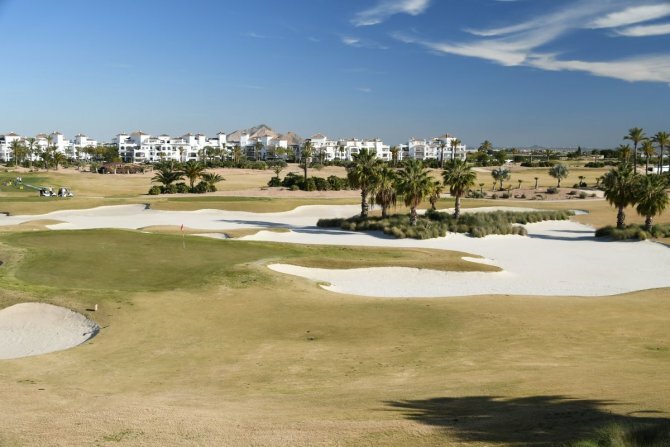 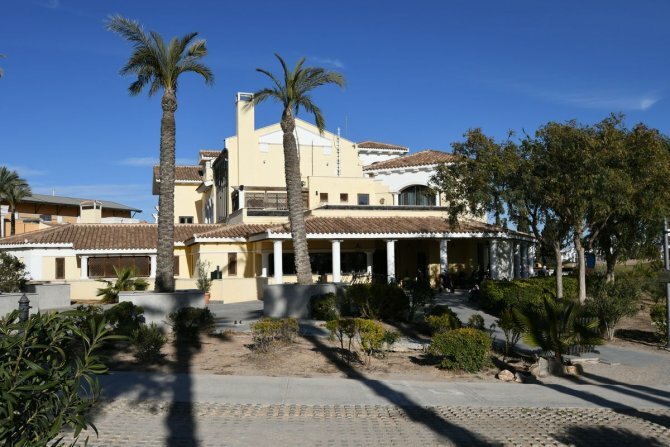 La Torre Golf Resort is a luxury development of 5-star properties comprising apartments, townhouses and villas surrounding an 18 hole Jack Nicklaus designed golf course. 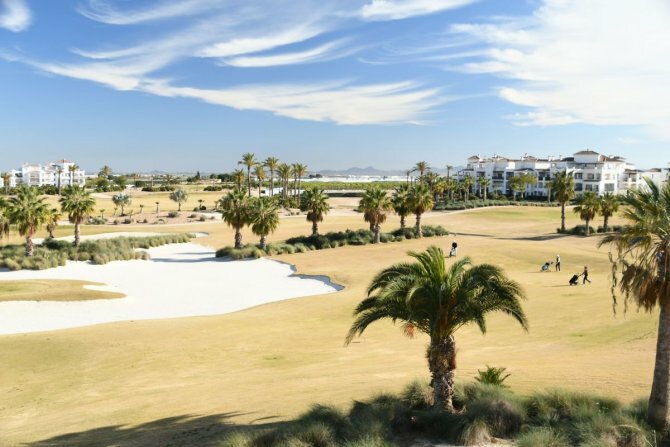 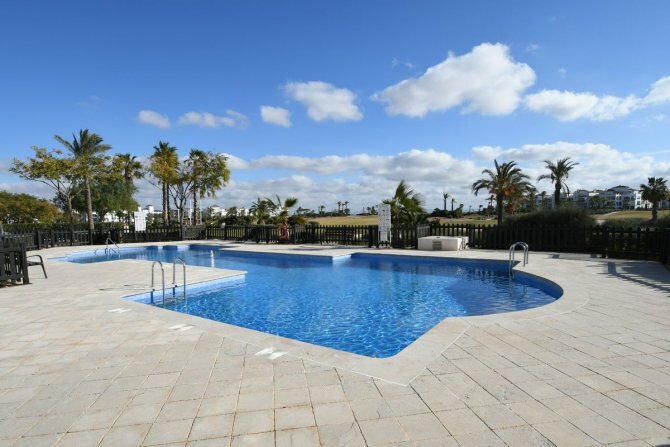 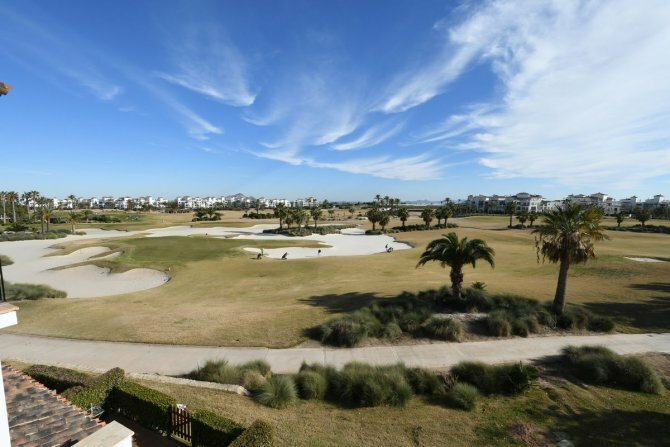 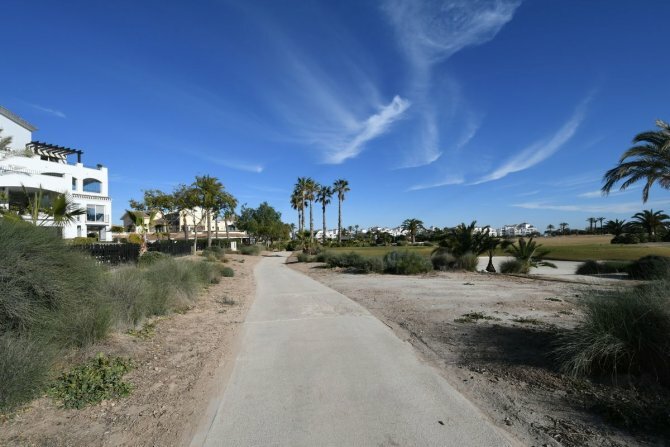 Located only a few kilometres from the best beaches of the Mar Menor, La Torre Golf Resort bustles with life and activity. 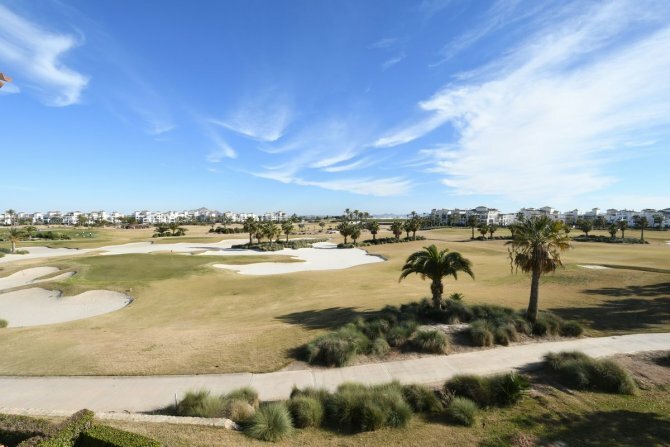 The variety of leisure activities, including bars and restaurants of all styles, the exciting Nicklaus Design golf course and all the other services created with residents in mind, make this a truly Spanish town where life is lived outdoors.